Step 1. Log into BigCommerce Admin. Go to Storefront Design / Design Options / Scripts. Step 2. 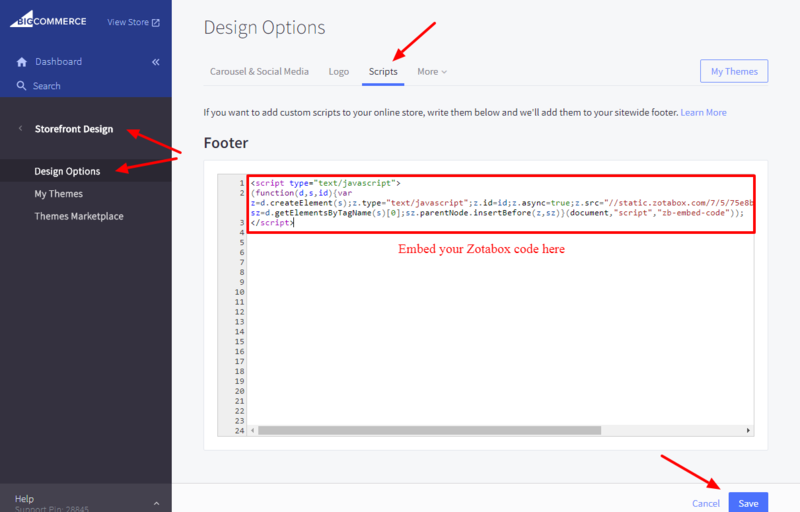 Paste Zotabox code in the Footer section and click Save at the bottom right. Then REFRESH your website to active the code. Step 1. Log into BigCommerce Admin. 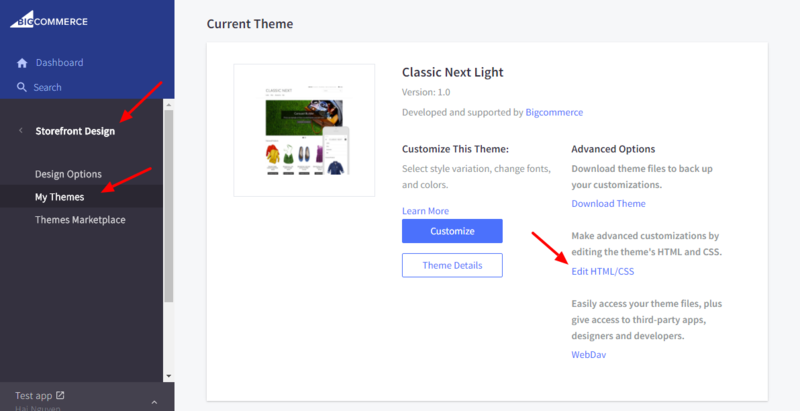 Go to Storefront Design / My Themes and select Edit HTML/CSS. Step 3. 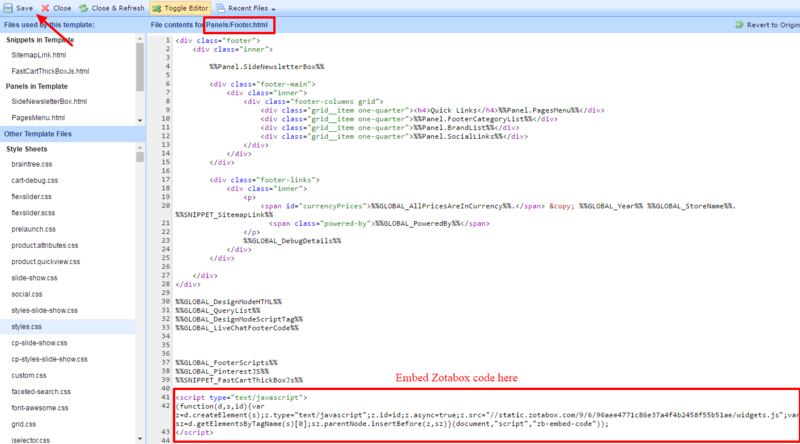 Click SAVE at the top left and REFRESH your website to active the code.